1. 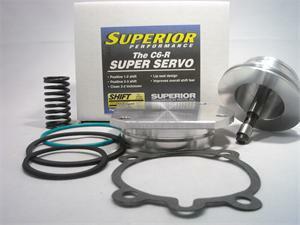 The Superior C6-R Super Servo performs as the Ford "R" servo. 2. 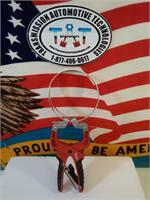 Due to the apply-to-release ratio, this servo delivers the best overall shift feel and timing of any servo combination. 3. The Superior C6-R Super Servo delivers positive 1-2 and 2-3 shifts. 4. This Super Servo delivers a clean 3-2 kick down. 5. Unique design 2nd apply area uses a lip seal instead of an O-ring for better static release into 3rd.